Summer is basically half over and I'm not surprised that I forgot to post my mood board before the season. During the summer I've always found that the main colours displayed are always bright and somewhat tropical. I didn't want to do that entirely, I wanted to do something light and calming. 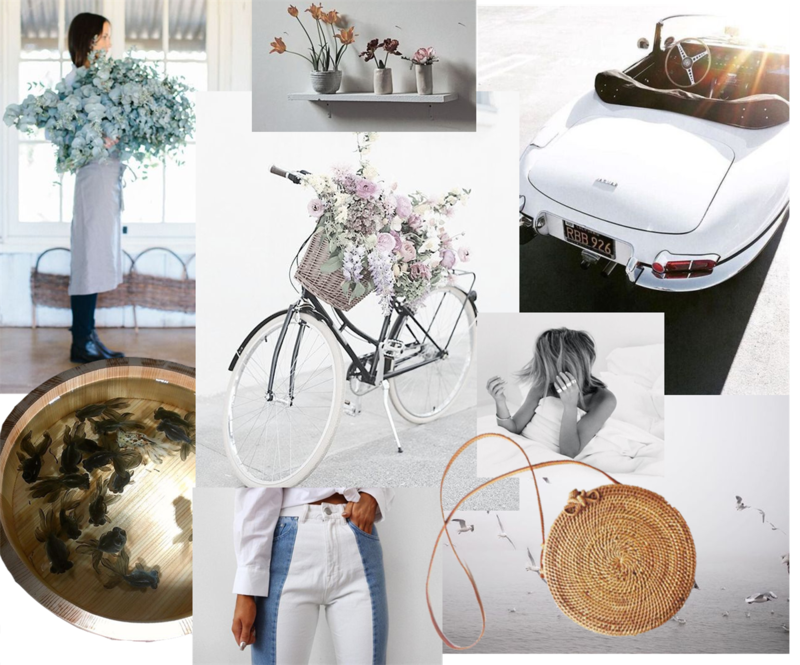 I wanted to focus this summer on creating some peace of mind, so with my classic base of white I was inspired to make this season's mood board! The blues and greens feel fresh and cleansing, while he browns and dark shades feel passionate. The whites and light colours give it the final airiness and calming vibe I was going for. I'm starting to really focus on neutrals and the colours that make me feel good. For years and years I honestly dabbled with the entire rainbow, but I'll always be a fan of de-saturated colours.